SINCE democracy was restored in 1990, Chile's successive presidents have followed an unwritten rule: never sack the finance minister. During that quarter-century the only person to leave the post early was Eduardo Aninat in 1999, and that was with his boss's blessing to take up a job at the IMF. 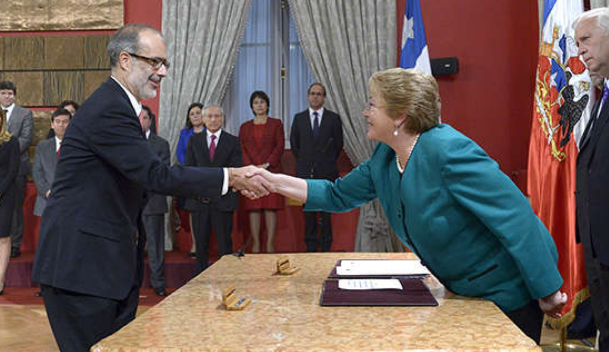 That the current president, Michelle Bachelet, felt the need to dump her finance minister—and several other cabinet members—after just 14 months in the job suggests the gravity of the crisis she faces. Ms Bachelet's agenda of radical reforms is proving unpopular, as is she. The economy is expected to grow by a tepid 3% this year. Accusations that her son used his influence to secure a $10m loan for his wife's real-estate company have bruised her. The entire political establishment is mired in a campaign-funding scandal. Only 29% of Chileans say she is doing a good job.